BD4.0 MM steel plate forming machine unit, is our company latest circular steel silo construction unit, it is BD4.0 MM type unit as foreign country type, on the basis of Germany product and innovated which has the same functions, it is used very convenient for operation and maintenance, and can be applied on the different specifications of the thickness of the steel plate, save the silo installation time at site, greatly reduce the cost of the construction of the project. At present our company launched BD4.0 MM forming machine unit is made by high strength alloy structural steel, improve the service life of the machine. This group of equipment price is only 1/4 of foreign BD4.0 MM type machine, warmly welcome knowledgeable people to come and make order. 1. 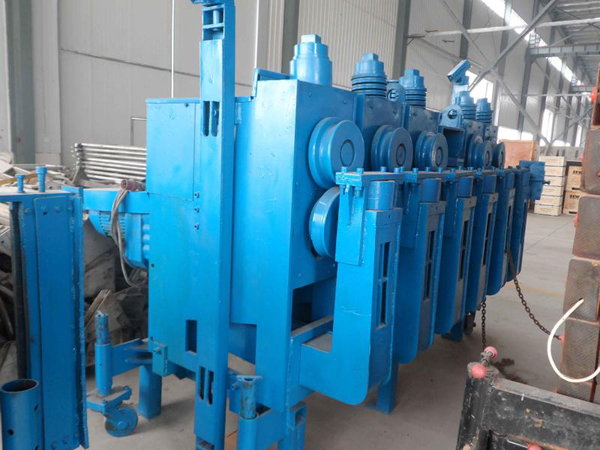 Forming Machine: weighs about 3150 kg; Role: 2-4 mm thick, 495 mm wide steel strip bends and preliminary processing molding material, the material at the same time the radian of bent into a silo diameter required. 2. Bite Stitching Machine: weighing about 3000 kg; Effect: the preliminary forming and cooperate with the good material forced bending, bite, suture in one, become a helical circular cylinder (the wall). 3. Steel Uncoiler: weighing about 200 kg;Role: 495 mm wide materials placed on uncoiling machine decoiler will be rolled plate. 4. Pillar, Frame: pay per weighs about 150 kg; Effect: according to the silo diameter requested even after forming a whole as support rail cylinder (the wall). 5. 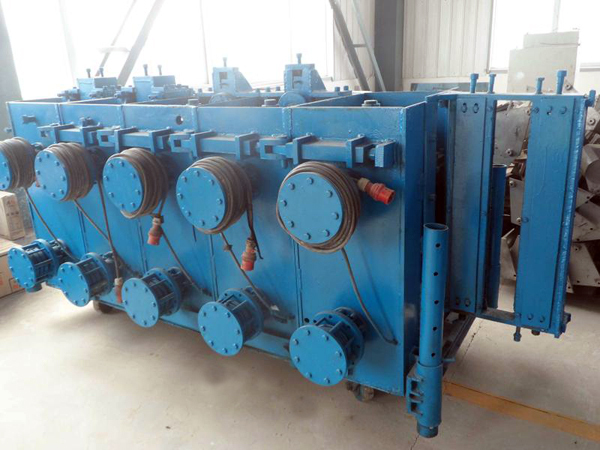 Electric Control Device, Function: controlled machine movement.